LESSON #32: In this lesson we will talk about light balance, analisys of the composition and light. How to simulate a night render by using an easy approach you could apply on every similar scene you’ll work in future. LESSON #31: Sometimes night versions seems, hard to achieve. But I can prove this is not true if you have a simple vision of the photographic renders and you can how to simply handle all the tools! The splotches’ secret in V-Ray. 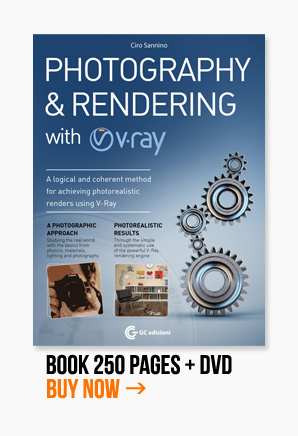 Have you ever got a render full of splotches with V-Ray? If you get splotches you already know: let’s check what’s wrong with GI! Let’s check how we can easily fix that!